Last week, our blog was geared toward avoiding SEO lead and web design lead scams. This week, we’re going to keep with that theme and talk about the specific things these companies will say to con you into a deal. So, how do these companies sweet talk you into doing business with them? These are three false promises shady SEO lead companies will say to get in your good graces. This should definitely get your “Spidey” senses tingling. Some scam companies will promise to increase the hits to your website by providing low-quality links to your site. In fact, Google now penalizes sites that promote themselves this way. If you’re an unlucky soul who was suckered into this lie, Google has a disavowal tool so you can disregard any bad links to your site. You have options, so don’t feel like you’re stuck with a bad SEO lead company and its untrustworthy services. Okay. Let’s get one thing straight. There are some legit companies that do offer free trials or rebates for services, but there’s usually some fine print that may have hidden fees associated. In the case of scam artists, SEO lead companies that offer free services are likely just trying to collect your personal information and won’t give you anything in exchange. They end up with your information to solicit you later and you end up with an annoying company hounding you every week. Not much of a tradeoff, right? The problem with this promise is, no company has the power to guarantee first-page ranking. 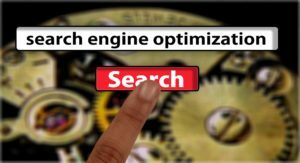 A reputable company will tell you they can assist you in improving your rankings, but no company has that much influence that they can guarantee you a first-page or first-place ranking in search engines. And any company that does—beware! Can You Trust Your Web Design Leads?